Mahindra Renault started off together and launched their first sedan in the market, Mahindra Logan. Then, it was a car that happened to to be adequately powered and comfortable but the major let down was its design. Simple and unappealing, these words completely describe the looks of the Logan. Later things changed between the two and Mahindra decided to proceed alone and rebranded the Logan as Mahindra Verito. 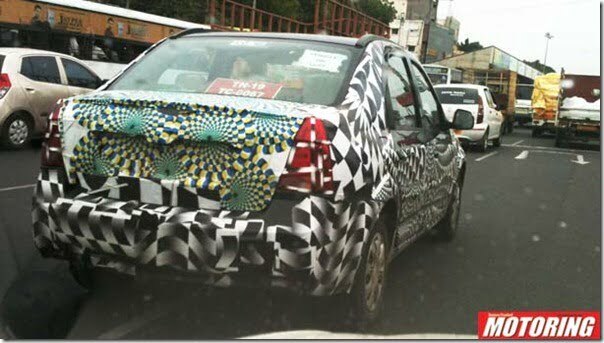 After changing the grille and adding a little bit of chrome on the exteriors, Mahindra re-launched the car but it failed to create that charm yet again. At present Mahindra is selling between 1500 to 1700 units a month which is quite low considering it is a good value for money car. 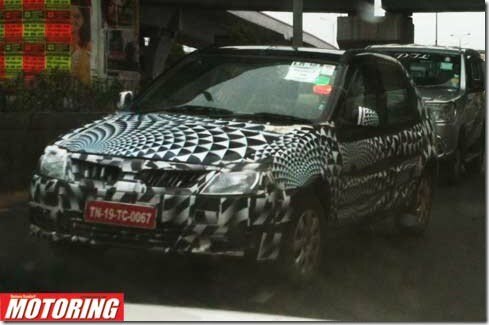 Interestingly the facelift model of the Verito has been recently caught performing its test runs, on the outskirts of Chennai. So what are the changes made to Verito? Let us introduce the new Verito to you. It has a cleaner face now, with redesigned headlamps, restyled lower grille and most importantly a new grille as seen on Jeep (Fiat owned brand) products such as Jeep Grand Cherokee. Mahindra, instead of going with its own design thoughts, considered feedbacks of its customers and journalists and it altered the wipers to function for right hand drive use. At the rear the boot gets a new design in order to allow enough space for the number plate. Other changes made at the rear include a boot lip spoiler, revised rear bumper and refreshed clear lens tail lamps with reflectors. We could also expect a new wheel cover design. The facelift Verito retains roof rails from its ongoing sibling. The powertrain is still supplied by Renault and Mahindra will not make any alterations to it, however it could work on improving its fuel efficiency. The Verito is an ambitious project and as the platform and engine belong to Renault, Mahindra pays a hefty royalty to the same. Mahindra is trying to improve the sales of the car no matter what the profits are. More details will emerge as the launch approaches which we expect to happen towards the end of year 2012. Stay tuned to Car Blog India for latest updates.